In This Life is an album Virgil Donati released on 2013, so it's been out for a while. Most people (at least, most people I know) became aware of Virgil Donati through his contributions to Derek Sherinian's Planet X band/albums. Later, Donati toured successfully with Steve Vai. Even more recently, Donati toured with Allan Holdsworth. What all these bands have in common is that they require top-notch technical mastery. Needless to say, Virgil Donati delivered the goods in those bands. However, I think one of the reasons fans of this style of music have been so impressed by Virgil Donati's drumming is because it is much more than a technical display. It is delightfully emotive, expressive, and deep. Few drummers have been able to capture a stylistic approach to the drums that is all their own, and Donati is one of the few to have actually achieved this. When you hear Virgil Donati, you know it's him. This is all well and good. 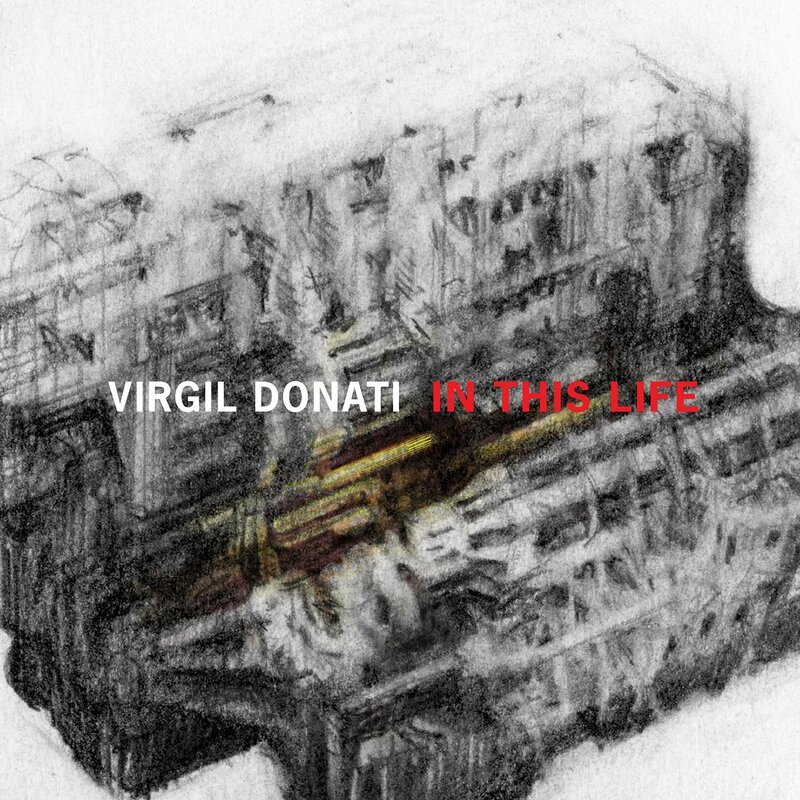 If you're into great drumming, enjoy Virgil Donati, and want to hear another album full of great Donati drum performances, then In This Life will satisfy your hunger. What you might not know about him, though, is that he is also a wonderful pianist, and an interesting music composer. That means that, when you listen to In This Life, you're not just getting a bunch of jam songs strung together from some highly technical musicians. You're getting a thick, juicy slab of the Virgil Donati approach to writing music. The result is something quite remarkable. The music combines Donati's trademark drumming with thick, heavy guitars, soft and ambient keyboard patches, and funky driving bass lines. As each piece unfolds, it becomes obvious why Donati was chosen to play in the bands he's played in. Stylistically, I'd put the music somewhere between Holdsworth and Planet X, with a slight bias toward the Planet X side of the spectrum. The keyboard and clean guitar work is very reminiscent of Allan Holdsworth, stopping short, however, of some of the most abstract aspects of Holdsworth's music. The heavier riffing and impressive guitar work certainly calls to mind the Planet X albums. The backbone of it all is Donati's rhythmic ideas. This is most evident when listening to the interplay between the drums and the rhythm guitar tracks. The latter come through to emphasize pieces of the drumming that are both thoroughly "Donati," and that we would likely miss completely, were they not emphasized. This, I think, is what makes In This Life stand apart from other albums in the same genre. The music is massively layered, but the layers all fall in service to the rhythmic ideas being expressed. Many drummers attempt to write music like this, but this is several notches above the pack. If you're a fan of instrumental music, especially jazz/fusion, I can highly recommend this haunting and beautiful album.